Featured Image, also known as ‘Post Thumbnail’, is an integral part of almost every WordPress blog. Whatever theme may be you are using for your blog, it is supposed to support this feature! 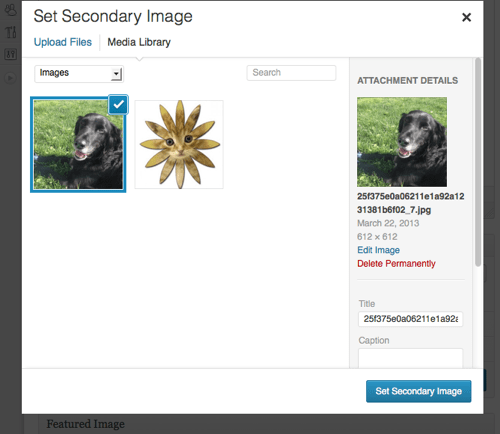 Introduced in WordPress 2.9, using it you can easily add an image as thumbnail to your posts. However, issues related to Featured Image may come up at times, especially when you change an existing theme or upgrade to a newer version of WordPress! And in order that you can find your way out these likely problems, I have compiled a list of 5 WordPress plugins. For anyone with hundreds of posts and an older version other than WordPress 2.9, adding thumbnails to each post will be a daunting task, after the upgrade. Post thumbnails cannot be added manually by means of URLs. In case someone changes or adds a new thumbnail dimension, it will affect only the newly uploaded images and not the existing ones! Lack of any built-in option to make adding thumbnails required for blog authors. It aims at solving the first two issues discussed above; that is, the problem of manually adding thumbnails to old posts, and the inability to add the same via a URL. 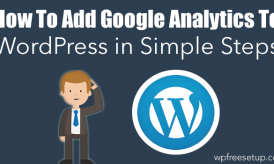 In the former case, this plugin makes it possible by generating and automatically adding thumbnails to posts, which lacks a pre-specified Post Thumbnail. For this, you get a ‘Generate Thumbnails’ button, listed on Settings > Auto Post Thumbnail. And in the latter case, this plugin does so by means of a custom-field parameter: skip_post_thumb. Note that Auto Post Thumbnail uses the first post image as the thumbnail, whether it is an uploaded or a manually inserted one via a URL. This is an interesting plugin which addresses the last issue mentioned above. Sometimes you might have a team of authors for writing and managing your blog posts, and that you would like each post to have a thumbnail assigned. With Require Featured Image, now you can actually do so! As the name suggests, this plugin makes adding thumbnails a required action for every author on board. 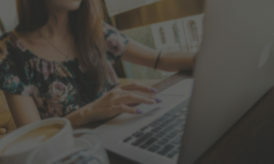 Upon activation, it simply disables the Publish or Update button on the post-editor page, provided that the post has no preset Featured Image. Hence, with such a plugin installed, you do not have to worry about breaking theme-layout and so on. It addresses the third major Featured Image issue as pointed out above. Since WordPress by default do not resize images on the fly, previously uploaded ones remain unaffected when you use a new theme or Post Thumbnail dimension! And in such a case, resizing each of these images, manually, one by one won’t seem very encouraging. This is exactly where Regenerate Thumbnails kicks-in. After the plugin has been installed and activated, go to Tools > Regen. 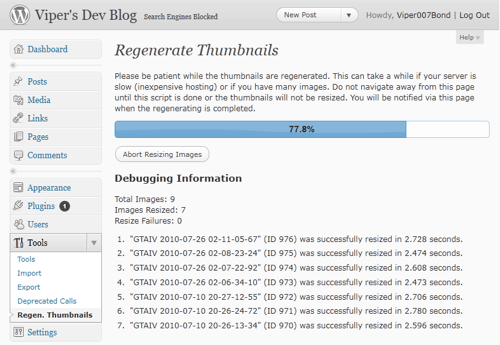 Thumbnails, click the Regenerate All Thumbnails button, and all of your uploaded images will automatically be resized! You can even use this plugin to regenerate thumbnails for individual images from Media > Library. As the name says, this plugin will allow you to assign more than one thumbnails to a post. However, in order to make it work, you need to manually add some code blocks! Of course, you do not have to be a code fanatic for this purpose. The plugin’s details page has all sorts of code samples, implementation guidance, and so on. 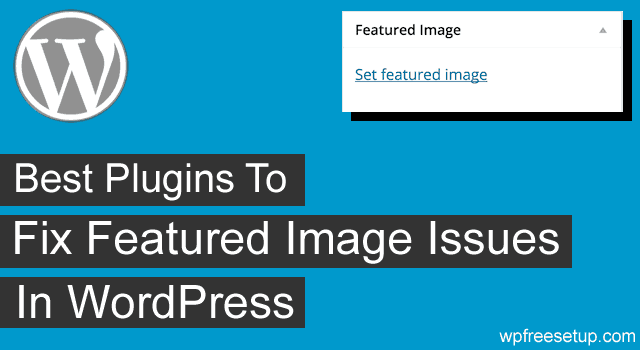 This is an excellent plugin if you want to include featured images in your blog’s RSS feed. No doubt a number of plugins with this functionality can be found in WordPress repository. But none of them will allow you to specify the size and position for the thumbnails to be included! Upon activation, just go to Settings > Featured Images in RSS Feeds; from there select an appropriate thumbnail size and position, and you are good to go. These are some of the awesome featured images WordPress plugin I have found so far, and if I find something new, will share it via blog post. Do remember, you don’t need all these plugins, simply use the one which you need, and disable once the work is done. If you know of any other interesting plugin for post thumbnail, do let me know via comments. Which one plugin will you suggest me to resize cut off featured images. perhaps, either I was not using correct method or did not have correct solution. Could you help me to resize all featured images. The PRO version of my featured image plugin “Auto Featured Image from Title” has a utility that generates custom featured images for all previous posts as well, writing the post’s title to an image you select. I set up a promo code for readers of your website to get 30% off, just use code WPFREE30 at checkout. Hello Harsh Agrawal. Tell me How I add feature image with Custom Field. Please Suggest me Plugin or Code. Thanks in Advance.